In the world of mergers and acquisitions, it’s common to hear business owners and their advisors reference a transaction price or investment based on a multiple of EBITDA (earnings before interest, taxes, depreciation and amortization). While multiples of EBITDA can sometimes provide a good reference point, there are a number of reasons why only basing a business price or share in an investment can be quite dangerous. When using multiples of EBITDA, what we are attempting to create is the “Enterprise Value”. Most business owners want to focus on the enterprise value, and if the enterprise value falls short of expectations, they often ask us how it can be increased. In relatively short order. 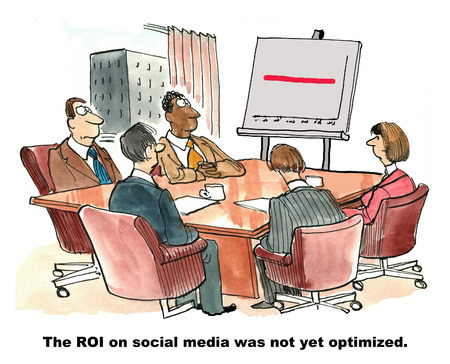 Keep in mind there are two parts to the equation: EBITDA and the Multiple. So let’s look at which is easier to improve. EBITDA or the Multiple. It’s important to keep in mind that the Multiple is really the inverse of the risk perceived by potential buyers or investors related to your business. As risk goes down, the Multiple goes up. And that increases the price. Perceived risk is related to the business continuing to produce the net income or cash flows that it does currently. Or, even better, the perception that net income and cash flows will improve over time. It is this perception that a business owner/seller has to keep in mind. It’s important to put yourself in the shoes of the prospective buyer and how they will view your business. 1.) 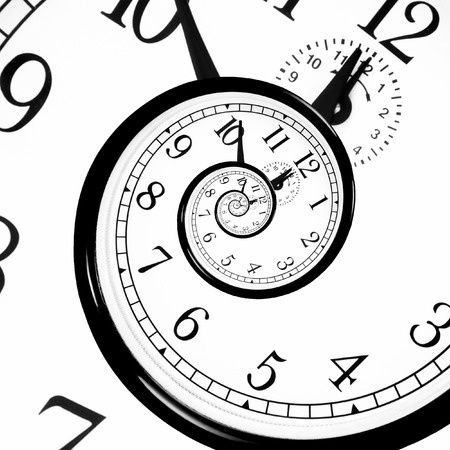 What’s the Time Period for EBITDA? If a company’s performance has varied in recent years, the time period for which EBITDA is calculated could significantly influence the implied multiple. Consider a company that produced EBITDA of $100 last year, has an EBITDA run-rate of -$70 this year, and is expected to produce EBITDA of $130 next year. A reasonable multiple, in the perception of the buyer, would suggest values ranging from negative to significantly positive. So what EBITDA should you use? The proper EBITDA would be a current “normalized” level of EBITDA. 2.) Normalization Adjustments in EBITDA:Sometimes a company’s reported EBITDA may not reflect its true operating performance. It is often appropriate to “normalize” EBITDA due to unusual, non-recurring, or discretionary income or expense items that a potential buyer would not be likely to incur. These normalization adjustments can have a material impact on an implied multiple of EBITDA. 3.) 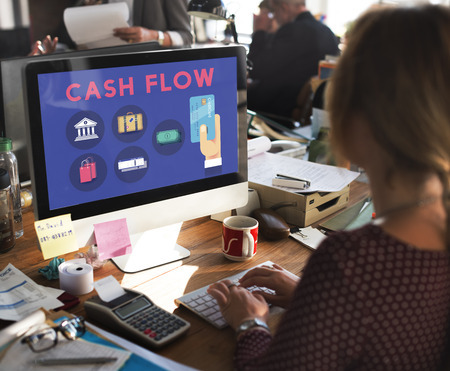 CAPEX: Depreciation and Working Capital: While EBITDA often serves as a proxy for net cash flow, it is important to remember that EBITDA is not equal to net cash flow. Capital expenditures (“CAPEX”) reduce a company’s net cash flow, but are not factored into an EBITDA calculation since CAPEX does not hit the P&L. Also, as companies grow, they typically require investments in higher levels in accounts receivable, inventory and other working capital assets to support higher revenue levels. These investments are a use of future cash, but are not reflected in EBITDA. 4.) 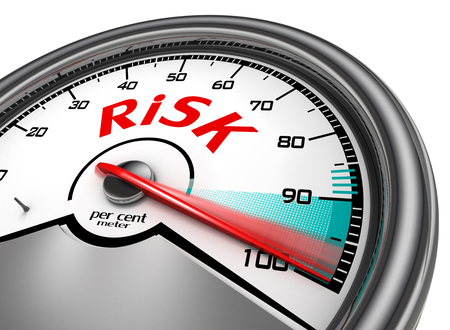 Risk: The largest factor driving a multiple of EBITDA is risk. Risk, in an investment context, describes the likelihood that expected cash flows will be received. 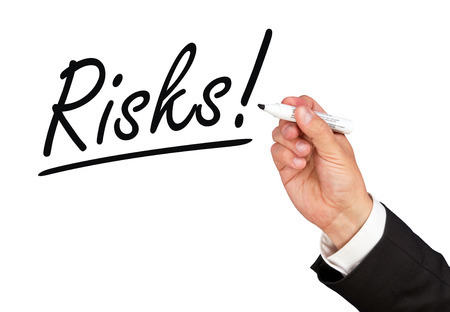 The higher the risk, the lower the likelihood that cash flows will be received as predicted. The lower the risk, the higher the likelihood that actual future cash flows will equal expected future cash flows. Investment theory dictates that investors require a higher reward for higher risk, and require a lower reward for lower risk. Therefore, the level of risk drives the percent of annual return (or reward) that the investor requires. A simple example is that if you invest money into a risk free savings, you may earn 1% per year of interest in today’s interest rate environment. Whereas if you invest money into a venture capital fund, you expect an annual return of 30-50% because of the high risk nature of the investment. The expected total rate of return is also called a “discount rate” that can be used to calculate the today’s value of all cash flows that will be received in the future (present value). A valuation multiple is short hand way of expressing a required rate of return or a discount rate. A multiple is equal to the mathematical inverse of the discount rate, minus growth. Risk has an inverse correlation to a value multiple. The higher the risk, the lower the value multiple, because an investor is willing to pay less for the investment in order to ensure a higher ultimate return. 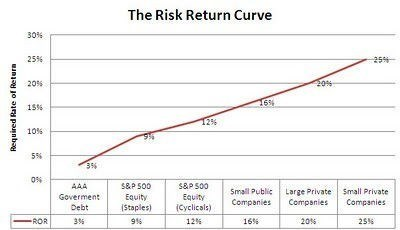 The lower the risk, the higher the value multiple, because the investor is willing to take a lower return. 5.) Growth: Another key driver of multiples of EBITDA is growth. A purchaser or investor asks the question: How much is this cash flow going to grow year after year into the future. Growth has a direct correlation to the multiple. The higher the projected growth, the higher the price an investor is willing to pay. A business seller, depending on their time-frame, should focus on taking specific action to address the issues that reduce risk and the buyers/investors perception of risk and on increasing growth through improvement in EBTIDA profit. And an experienced professional can help in making those improvements. 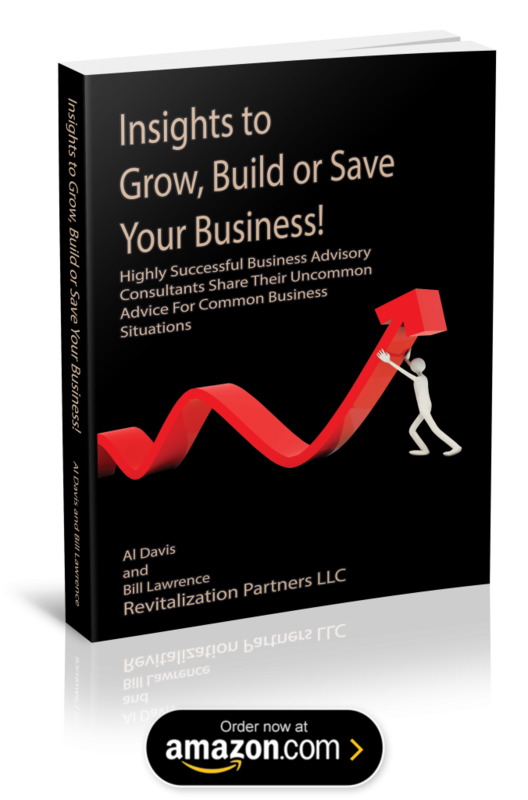 Revitalization Partners is a Northwest business advisory and restructuring management firm with a demonstrated track record of achieving the best possible outcomes for our clients. We specialize in improving the operational and financial results of companies and providing hands-on expertise in virtually every circumstance, with a focus on small and mid-market organizations.